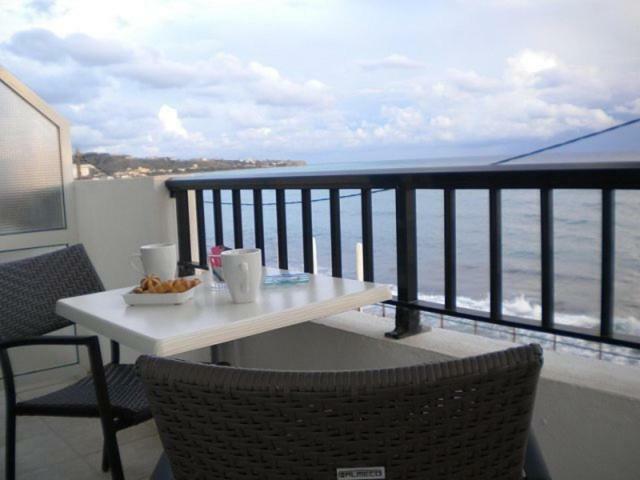 Good location with fine views over the Libyan Sea. 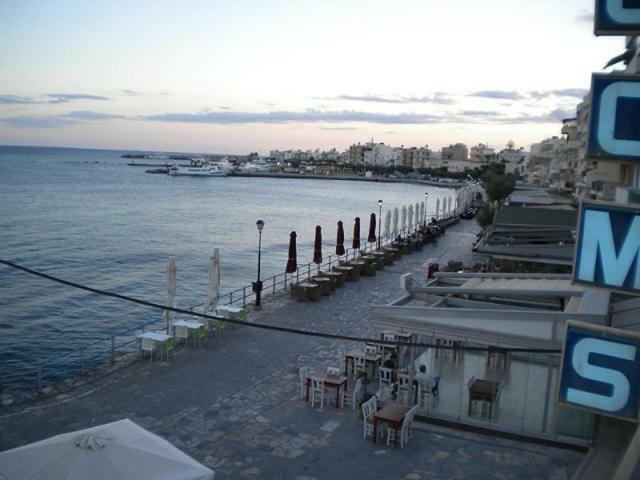 The view was excellent and we were within walking distance to the tavernas and Bars. Katerina was so friendly and couldn't do enough to make our stay enjoyable. Having a lift was a godsend too. 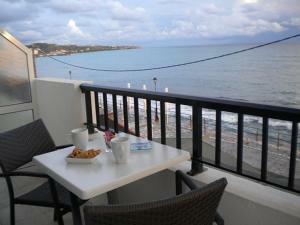 Amazing breakfast in the terrace of our room in front of Crissi Island. Room very nice, complete of any furniture. Very recommended. Souvenir shop with discout for guests at the ground floor. 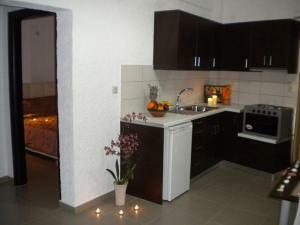 The apartment is very central, well served, clean, spacious and with a nice contemporary design. Saimme valita isoimman huoneiston samaan hintaa. Äskettäin remontoitu huoneisto merinäköalalla. Wir waren bereits im Sommer in der gleichen Unterkunft und genau wie beim ersten Mal, war es unbeschreiblich. Katerina hat sich noch an uns erinnert und schon alleine die Tatsache, dass sie uns wie Familienmitglieder begrüßt hat, war herzerwärmend. Dann haben wir auch noch ein viel größeres Studio bekommen als das von uns gebuchte. Zwei große Zimmer, eines mit integrierter Küche und beide hatten Zugang zum Balkon mit dem umwerfenden Blick auf den Hafen von Ierapetra und das Meer. Ein großes Bad und alles sehr sauber. Das Bett super bequem, jeden Tag wird geputzt, jeden zweiten Tag frische Handtücher und Bettwäsche. Alle sind unglaublich freundlich und hilfsbereit. Rundum perfekt für uns und unseren Urlaub. Vielen Dank Katerina und bis nächstes Jahr. Wir freuen uns schon! Super Ausblick aufs Meer; sehr freundliche und bemühte Vermieterin, Personal sehr freundlich; Apartment einfach ausgestattet aber sehr sauber; Zentrale Lage. Lock in a great price for Katerina Studios & Apartments – rated 8.1 by recent guests! 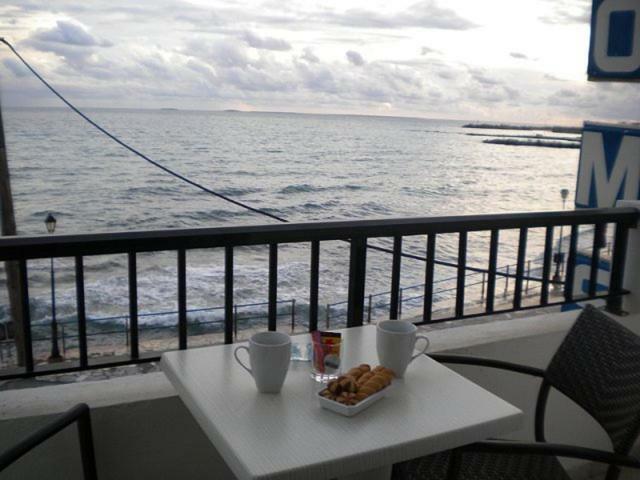 Located right on the sandy beach of Ierapetra, Katerina Studios & Apartments features self-catered accommodations with free Wi-Fi and balcony overlooking the Libyan Sea or the town. Restaurants and shops are within a 3 minute walk. A kitchenette with fridge, cooking facilities and dining area is included in all the air-conditioned units at the Katerina. 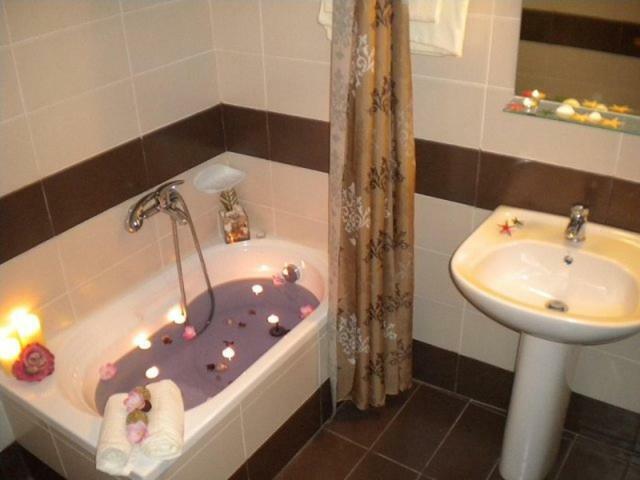 Each has a sitting area with TV and a private bathroom with hairdryer and shower. Guests can enjoy nearby beaches such as Koutsounari 6 miles away. The scenic beach of Mirtos is at 6 miles. 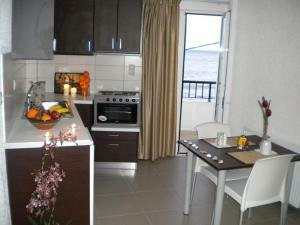 When would you like to stay at Katerina Studios & Apartments? Located right on the sandy beach of Ierapetra, this air-conditioned studio has free Wi-Fi and balcony overlooking the Libyan Sea. A kitchenette with fridge, cooking facilities and dining area is included. Located right on the sandy beach of Ierapetra, this spacious, air-conditioned apartment offers free Wi-Fi and balcony overlooking the town. A kitchenette with fridge, cooking facilities and dining area is included. 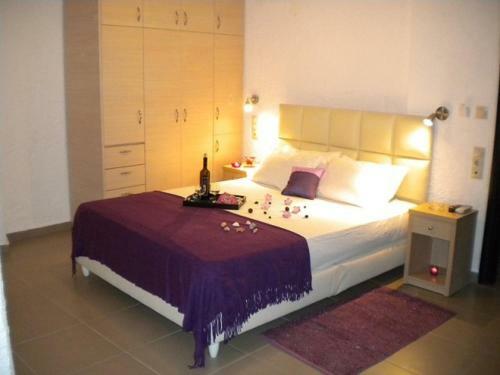 Guests are offered a bedroom with 2 single beds. 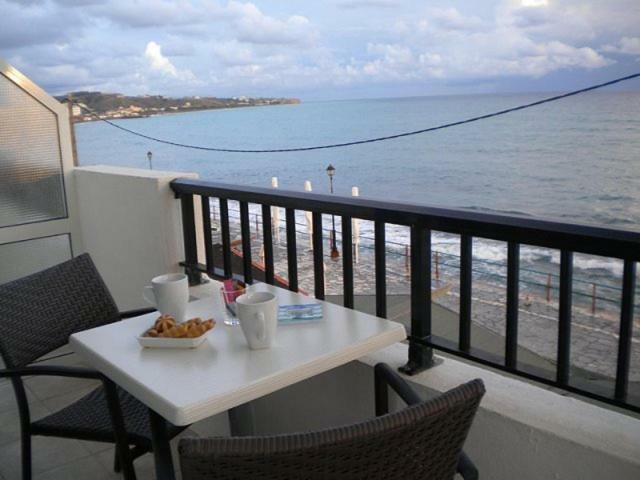 Located right on the sandy beach of Ierapetra, this spacious, air-conditioned apartment offers free Wi-Fi and balcony overlooking the Libyan Sea. A kitchenette with fridge, cooking facilities and dining area is included. House Rules Katerina Studios & Apartments takes special requests – add in the next step! Katerina Studios &amp; Apartments accepts these cards and reserves the right to temporarily hold an amount prior to arrival. Katerina Studios & Apartments accepts these cards and reserves the right to temporarily hold an amount prior to arrival. Please inform Katerina Studios & Apartments of your expected arrival time in advance. You can use the Special Requests box when booking, or contact the property directly using the contact details in your confirmation. 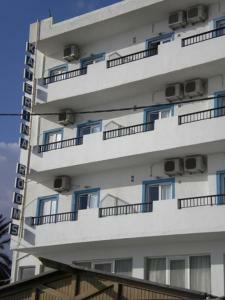 Property is very tired and in need of minor refurbishment. Not recommended for those with mobility challenges. Property official photographs are not the best representation of the reality. This is my second time at Katarina Studio. The location is ideal, especially if choosing a sea view. The hotel is also very central and the are is full of bars and restaurants. The beach is very close. The host was very nice and helpful. The kitchen is quite complete. The kitchen was not well equipped and there was no possibility to let the clothes drying on the balcony. The position is very central. The shower could have been better as it kept falling out of it's holder. Also a kettle would have been appreciated.